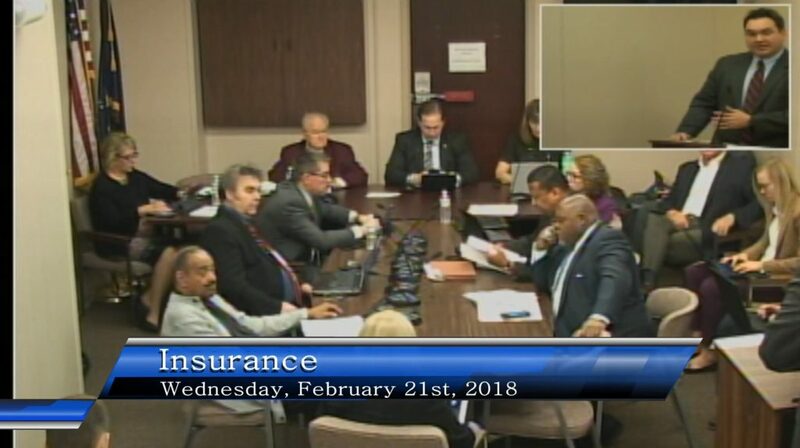 Calling it a means of protecting collision repairers, Insurance Institute of Indiana and State Farm lobbyist Jon Zarich last week presented an amendment eliminating insurer adherence to estimating systems and suggesting alternate “industry standards” were just as good as OEM procedures. 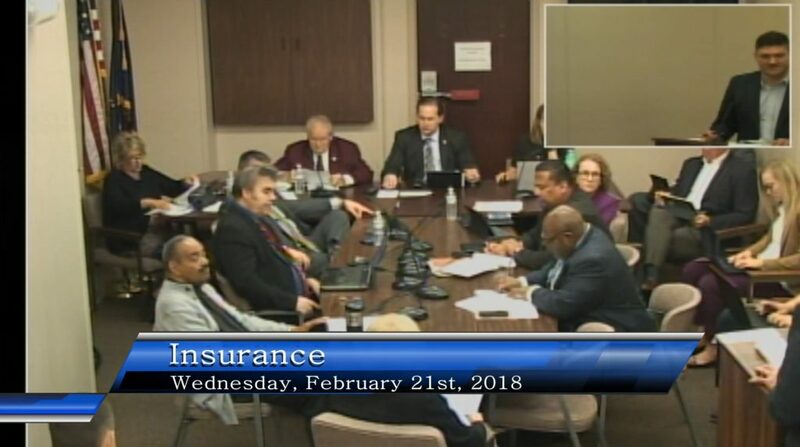 The amendment to Senate Bill 164, supported as well by the Property Casualty Insurers Association of America, was passed 12-0 by the House Insurance Committee shortly after Zarich’s testimony Feb. 21. It could go to the House floor as early as Tuesday, according to a collision repair trade group. Not realizing how far the amendment had led Senate Bill 124 astray, the Indiana Auto Body Association endorsed the bill at the Feb. 21 committee hearing but now strongly opposes it, IABA President Doug Martin said Monday. The bill was first sponsored in the House by committee Chairman Rep. Martin Carbaugh, R-Fort Wayne, and Rep. Matt Lehman, R-Berne, though it’s unclear which legislator actually formally introduced the amendment language before the committee. Phone messages for bill sponsor Senate Majority Whip Mark Messmer, R-Jasper, and Carbaugh have not yet been returned. Cars are changing, but you don’t have to? Zarich presented the amendment to the committee, and his argument for it ironically made the case for why picking “industry standards” over OEM repair procedures was so dangerous by highlighting the speed at which vehicle technology evolves. As anyone who’s bought a new car knows, “they’re changing quickly,” he told the committee. Yet it should be acceptable for repairers to use older industry standards on them, he then argued — and it would be up to a consumer, not the repairer or Zarich’s insurers, to prove those standards were as good the instructions set out — and updated frequently — by the automakers who built the new technology. This is an ridiculous proposition, which lets everyone from hack shops to merely misguided ones to do whatever they want and force the consumer to prove it was a bad repair. Zarich said repairers had expressed fear among repairers of “class actions” coming out of Texas — which is ironic given infamous John Eagle Collision Center plaintiff’s attorney Todd Tracy’s view that class actions aren’t the best tactic — and said he was trying to alleviate that. “You have an auto manufacturer who has their recommended procedures on how to repair a vehicle, and you also have industry standards, which is also a function that a repair shop would choose to use,” Zarich said. He gave the example of estimating systems describing to follow a particular procedure to replace a fender, even though estimating systems are third-party compilations of OEM repair procedures. But the point Zarich appears to really be making is the ones John Eagle body shop director Boyce Willis unsuccessfully tried. Willis suggested a shop should be able to repair a Honda like an Aston Martin, and insisted that Honda’s wrong and “bonding is better than welding” based on the “market” and “process” and said his facility began gluing roofs on the advice of a supervisor without any formal engineering, metallurgical, or structural analysis training. Following either manufacturer or “industry standards” would be “satisfactory” under the law, he said. Industry standards should prevent a class-action lawsuit, for “you are still completing an adequate repair as the repair shop. 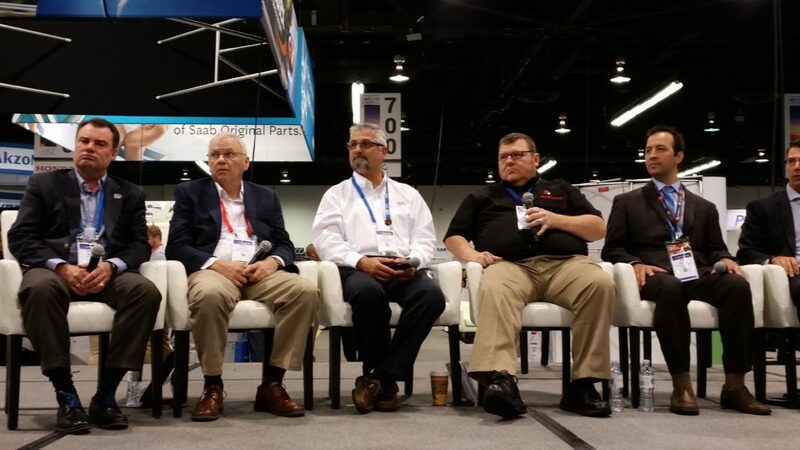 You’re following … standards that have been in place and what the industry’s been using,” according to Zarich. By that logic, is a shop who continues to use plug welds instead of the spot welds General Motors wants more frequently from now on doing a bang-up job? Let’s say such a deviation from OEM repair procedures were found in a post-repair inspection. Under the amended Senate Bill 164, it would be up to the customer to prove the shop had deceived them about the repair quality, rather than on the shop to prove that deviating from OEM procedures was right. Note that while we referenced the John Eagle case, the amended version of SB 164 doesn’t appear to protect a shop from the liability of work that allegedly killed or injured someone. It seems to merely head off a claim for misleading the customer. 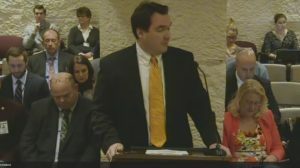 “Deceptive acts” under the Indiana law affected by the bill refers to a supplier misrepresenting something; for example, a repair a shop represented as high-quality but knew or should have known was bad. The concept of “generally accepted industry standards” which aren’t OEM repair procedures is absurd anyway. I-CAR and all three major national collision repair trade groups have declared OEM repair procedures to be the standard of care. If OEM repair procedures weren’t the benchmark, how would a customer or shop even know what the standards for a 33,500-shop industry would be? To steal a joke from Jake Rodenroth of Collision Diagnostic Services, who’s got the stone tablets containing the industry standards? If you have them, please make a copy and send it to Indiana; your colleagues and consumers there might need it. Does an incorrect majority set ‘industry standards’? Trying to derive some standards outside of the OEM benchmark could lead to frightening results. 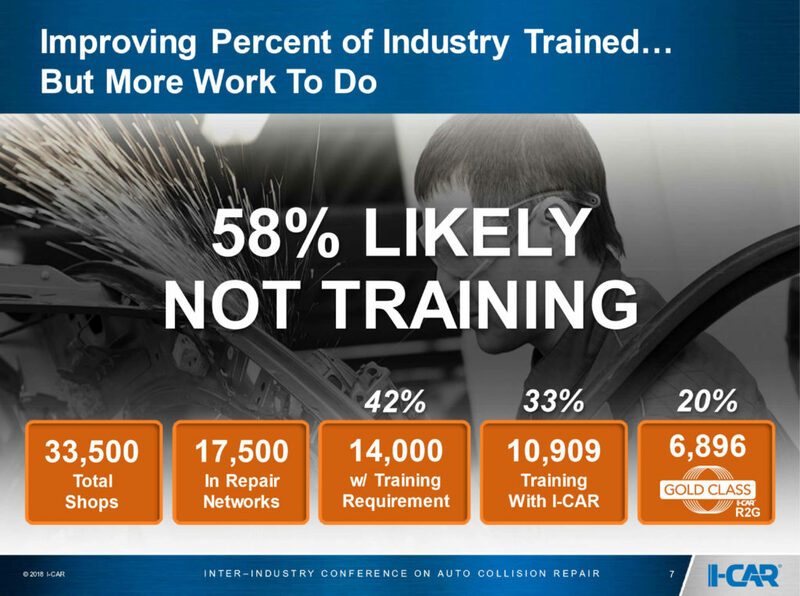 Evidence from GM and I-CAR suggests that many repairers in this industry might be fixing cars incorrectly, whether out of incompetence, greed, or unfamiliarity about technology changes. If the number of shops so misguided is in fact the majority, does that create an “industry standard” for such incorrect work that the consumer would have the burden of proof to rebut — even thought the OEM procedures written and tested by the company that built the car are clear? Take one of the industry’s most embarrassing recent moments: the realization in 2016 that shops should have been running diagnostic tests on vehicles for years, even decades. Many shops weren’t scanning cars, and many still aren’t. CCC research in 2017 found that despite 68.1 percent of vehicles on the road requiring scanning per OEM position statements, only 1.55 percent of appraisals showed a charge for the work. Unless the other 67.55 percent of shops are simply doing the work gratis, industry standard here is very likely wrong. But that doesn’t appear to tell the whole story. “Consumer transaction” means a sale, lease, assignment, award by chance, or other disposition of an item of personal property, real property, a service, or an intangible, except securities and policies or contracts of insurance issued by corporations authorized to transact an insurance business under the laws of the state of Indiana, with or without an extension of credit, to a person for purposes that are primarily personal, familial, charitable, agricultural, or household, or a solicitation to supply any of these things. This is kind of ironic, for Messmer said a constituent repairer’s difficulty getting reimbursed for proper repairs was part of the impetus for the bill in the first place. Tom and Ed’s Auto Body Repair Services general manager and IABA board member Andy Tylka noted during the hearing that he disagreed with the Senate-passed bill’s language declaring it an unfair claims action for an insurer to disregard an estimating service. Information provider software “doesn’t talk about procedures,” merely how long various repairs take, Tylka said. He said that insurers should be bound to OEM repair instructions instead. Carbaugh told him such language was in the amended bill, which obviously doesn’t seem to have ended up being the case. Reached Monday, Tylka said he opposed the bill and didn’t realize the content of the new amendment on the table that day when he gave Senate Bill 164 his blessing Feb. 21. He called the notion of “industry standards” “way too vague,” and OEM repair procedures “the measure for proper repair” and to determine shop liability.